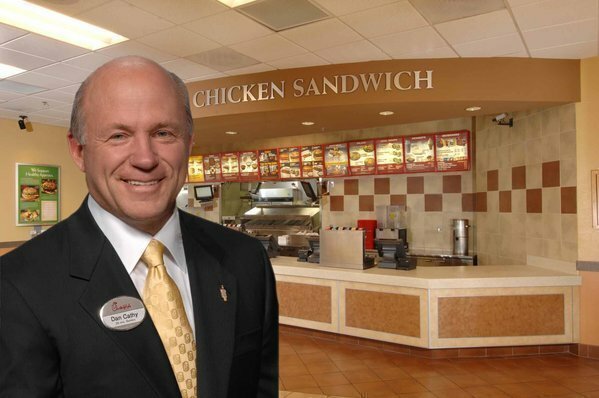 When Chick-fil-A president Dan Cathy affirmed his position that he believed in the traditional definition of marriage as being between one man and one woman, he ignited a firestorm on Facebook, which continued through August. No matter which side of the issue you are on, I must say I have been startled by the lack of critical thinking, of human reason, in some of the comments I have been reading on my News Feed. For example, one friend of mine posted a picture of the restaurant with a crowd around it and a caption that read, "Why aren't there Christians at food banks or homeless shelters?" As someone who has worked at homeless shelters for seven years, I can tell you I am not only surrounded by Christian volunteers while I am there, but Christians also founded the institutions where I have worked - and funded them. This kind of remark is inflamatory rhetoric and doesn't embrace the facts of the matter. In another News Feed post, a friend called for boycotts of the Chick-fil-A in our area, but this call completely and conveniently forgets that this entity is a franchise, which means a boycott would hurt a local, small business owner and the employees of the business who might find themselves unemployed as a result of a downturn in business. I doubt Cathy would be harmed by this action - I doubt he would feel any impact at all. I also find the boycott idea ridiculous on another level: are you, as a consumer, so naive as to believe that your personal beliefs and values are in alignment with the owner of every business, restaurant, etc., that you patronize? Of course they aren't. We live in a pluralistic society with a multiplicity of views. If we would come together and discuss them in a rational and respectful manner, we would get much further than we have by making unthoughtful remarks on our Facebook page. Which brings me to another point: the "gang-up" mentality displayed by many of my Christian friends on Facebook has been disturbing to say the least. Building walls and shutting people out is not what Jesus would do - he was about inclusivity and loving one another, remember? I was also dismayed by another photo posted by a Facebook friend: the photo featured a sarcastic remark posted on a marquee outside a Chick-fil-A restaurant. What did it say? "Thank you democrats for finally enacting a stimulus that worked." Again, not helpful in terms of promoting dialogue.